Rosemont Stud’s trust in top-class colt Tarzino was repaid in full with a Group 1 victory in the Rosehill Guineas (2000m) on Saturday. Owner Anthony Mithen bought a share and the standing rights to Tarzino before flying out to France last week. “He’s clearly a high-class athlete and has so much racing upside,” Mithen said. “He’s exceptionally bred being by Tavistock, who we rate as the next big thing, out of a mare by Zabeel. Tarzino was in another league at Rosehill while lengthening to a comprehensive victory over Montaigne (Road To Rock) and Jameka (Myboycharlie). He immediately firmed into a $1.90 favourite with the TAB for the G1 Australian Derby on April 2. “It was a strong win and he will improve from today,” trainer Mick Price said. Tarzino won the G1 Victoria Derby in October and the only horses to complete the ‘Derby double’ since the Randwick feature was switched to the autumn in 1979 have been Dulcify and Mahogany. He is the second Rosehill Guineas win in a row for Mithen and his team at Rosemont. 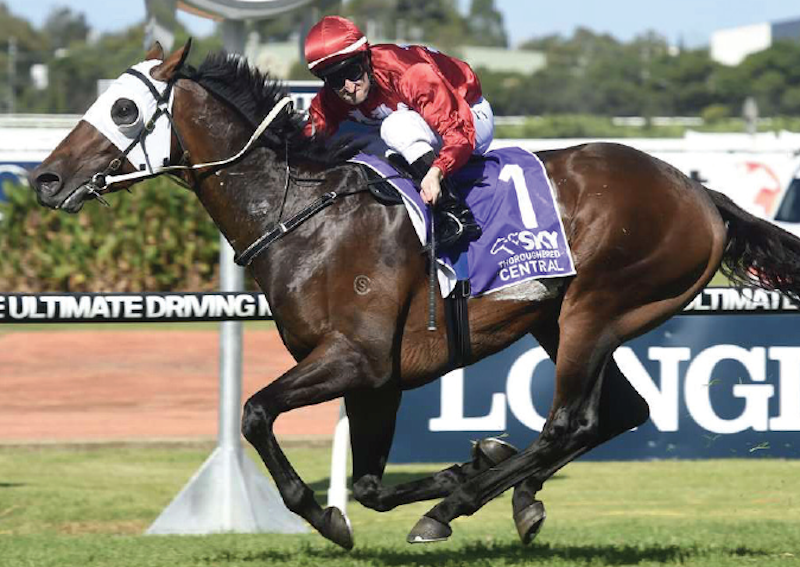 Their red and white ‘gatecrasher’ colours were carried to victory by Tavistock gelding Volkstok’n’barrell last year who will line up in the Group 1 Doncaster this year as a genuine winning chance.